Okay, so your child is diagnosed with ADHD. DO NOT PANIC! It is NOT the end of the world. Yes, you’re worried as a parent; however, unlike other medical conditions like asthma or diabetes, there are positive aspects of ADHD. If you’re not sure if your child has ADHD, you should check out my other post here. 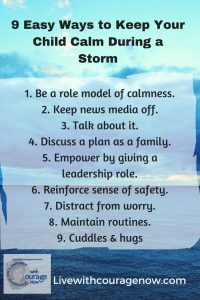 Raising a child with ADHD can be frustrating and exhausting; however, if you shift your mindset and learn ways to help them (and yourself), as well as appreciate your child for the positive traits, you will have a much easier time. I’ll get into the positive aspects of ADHD but first, let me answer some questions you’re probably already asking yourself. There are so many thoughts that race through your head as a parent with this diagnosis. You did not do anything to cause your child to have ADHD. It is believed to be genetic, which means there is a high likelihood that someone in your family may have had ADHD. You did NOT fail your child. RELAX. TAKE A BREATH. Go ahead, breathe in and now out…feel better? No? Okay, how about this…YOU DID NOT CAUSE YOUR CHILD TO HAVE ADHD! The more you feel guilty about your child having ADHD, the more your child will feel like he/she is defective or did something wrong, affecting their self-esteem. ADHD – basic differences and how to parent – set your child up for success. Your child is challenged by their executive functioning. This basically means their decision making and attention center of the brain needs some assistance. You can help provide that assistance and help set them up for success. 1. First thing about children with ADHD…THEY ARE NOT NAUGHTY! Repeat that 10 times and then come back to this. I hear parents get so frustrated with their ADHD children and yes, it is very frustrating…especially when you don’t understand the mechanisms of the ADHD brain. The diagnosis of ADHD can be heartbreaking for some parents BUT, I remind parents that MANY successful individuals have ADHD and it can actually be a positive trait if they learn to manage it successfully. 2. They have such colorful personalities. Their impulsivity makes them a delight at times as they blurt out things they are thinking. Humor goes a long way. You can teach them to take a beat before saying anything. It’s a skill they need to learn because children with ADHD struggle with this. The lack of filter can be offensive to some at times so teaching this skill is important; however, be okay with seeing the humor if appropriate. You may have noticed that your child has a tad more energy than most children you know 😝. I know what you’re thinking…that’s a good thing?! Actually, yes because they will have more energy to persevere, reach goals, and motivate others. If you can appreciate this and keep this in mind, then you’ll have a much easier time. Many parents feel despair because their child is not like others. Your child is different. That’s okay. Let’s learn to work and eventually embrace this. Humor goes a long way. You need to just learn ways to help your child exhaust that energy without exhausting you. Many parents will just use electronic devices to keep their child busy. Well, that may not be a good thing because all that sitting will just keep that energy pent up and it’s going to come out at some point. Many parents sign their children up for extra-curricular activities. Children with ADHD can be VERY creative as they see the world from a different point of view and are often unafraid (Hi 👋 no filter) to say whatever they’re thinking. In addition, this creativity coupled with the drive will give them the ability to discover things that most people wouldn’t see. Help them appreciate their differences. I love that saying, “why blend in if you were meant to stand out.” If you appreciate their differences, they will appreciate it as well. 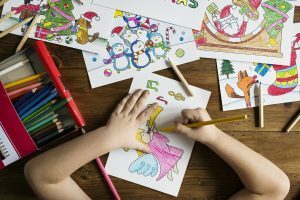 When children with ADHD find something they like or enjoy, they can be hyperfocused and immerse themselves in the activity. Encourage the hyperfocus by helping them find something they are interested in. Teach them how to pour that energy into the activity and the sense of accomplishment in reaching goals in that hobby/sport. Also, use the time they are spending on this activity as a time for you to catch a breath. Parenting children with ADHD can be exhausting…but I didn’t need to tell you that. Basic needs are met. A child who is well rested, fed and feeling safe is less likely to be irritable. Regular exercise, for the child with ADHD, the more exercise the better. Directions are simple: Keep instructions simple by giving just one instruction at a time. Take the trash out, put the dishes away, and then go shower. Take the trash out. (wait till they do it). Now put the dishes away in the sink. (have them do it). Go shower. Help them listen: Just because you are saying something in the same room does not mean they heard you. To make sure they heard you, make eye contact with your child, touch their arm (engaging another sense) and then have them repeat to you what you said. Help them fidget. Say what?! Yep, you heard. Fidgeting helps children with ADHD. Again, it’s the expending of extra energy. 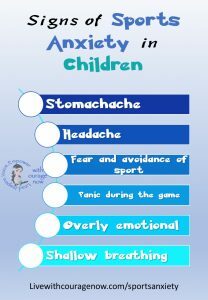 Fidget spinners, putty, bouncy bands, exercise balls can all help with the need to fidget. You ever sat through a long lecture or meeting and doodled or played with your pen…okay yeah…that’s fidgeting. Imagine if you were you were told you couldn’t do that. 😱 That would be torture for me. Routine and structure: having a routine and setting up structure helps a child with ADHD. ADHD has to do with executive functioning, that’s the lovely part of the brain that organizes things. You have to serve as their executive functioning and teach them strategies to help them stay organized. The hard part is that parents often have ADHD themselves so providing structure and routine may be a challenge. Visual charts. Your child has difficulty remembering things at times, especially if it’s not important to them. Use visual aids to help them remember things they usually forget and to reinforce routines. Make sure the chart is age appropriate. See below on how to access free charts I’ve used with my patients. 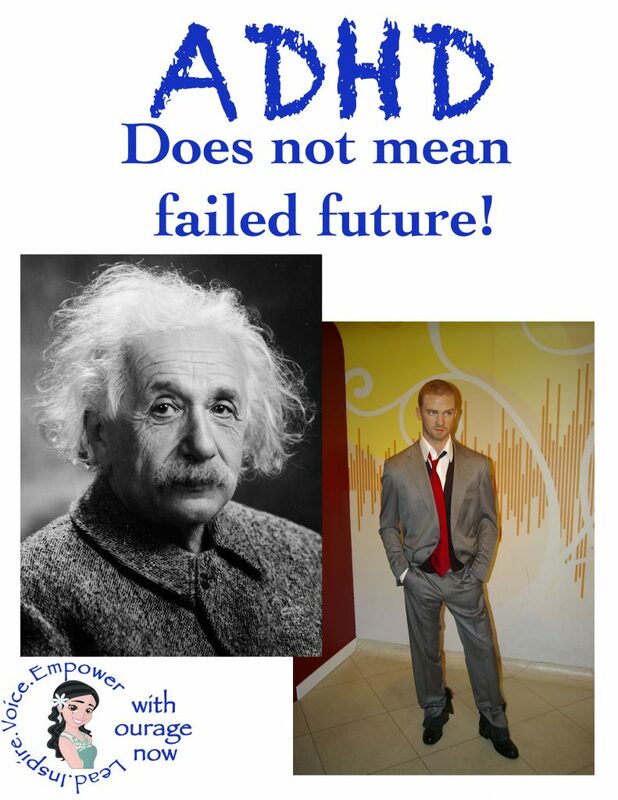 A parenting course is on it’s way and it will be especially geared for parents with children diagnosed with ADHD! Get information from a child psychologist with 10+ years of clinical experience and training who will be talking about all things ADHD more in-depth and ways to use the behavior charts, remaining consistent, and dealing with specific challenges unique to ADHD like those lovely meltdowns, impulsive behaviors, and emotional roller coasters. More importantly, parents will learn ways to maintain their sanity and bring out the best in their child when faced with the challenges of ADHD! Preregister to get a discounted rate of 50% off!! !